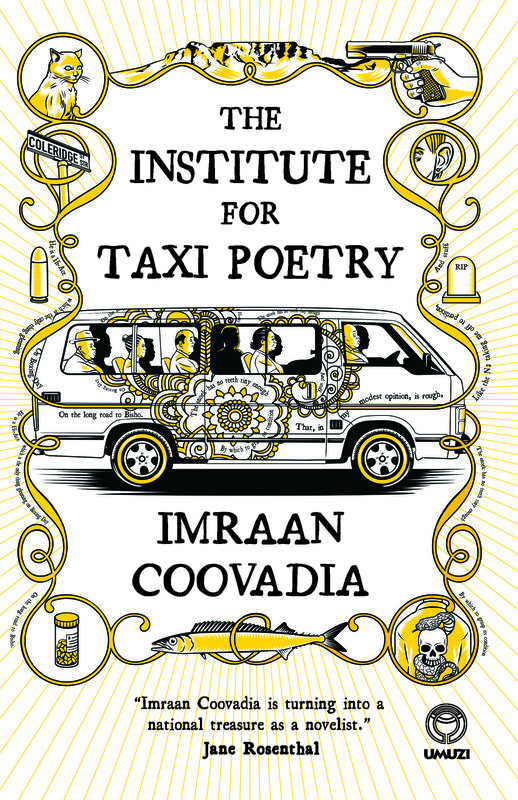 Imraan Coovadia’s The Institute of Taxi Poetry (Umuzi, 2012) is an appeal to the imagination – the reader’s and South Africa’s. Set through a week in the life of Adam Ravens as he tries to make sense of the murder of his idol and mentor, Solly Greenfields, a quest for truth, meaning and a way forward unfolds. Through Adam’s struggles for understanding, and his encounters with his son, students and colleagues, Coovadia begins to question just what changes or is lost when you only encounter snapshots of an experience and are excluded from the rest. Buried in the middle of the novel lies an image to this effect; as Adam walks down taxi filled streets, “the presenter on Cape Talk […] disappeared and reappeared from different sliding doors as I went along”. A narrative may seemingly be headed in one direction but you can – and Taxi Poetry suggests you usually do – open the door to the same familiar voice in a similar place, that is still somehow unexpected, changed. The journey, like taxi poetry, “made nothing happen, a nothing that was nonetheless a happening”. Problem # 1: Solly’s murder started just such a journey. Taxi Poetry inscribes verse onto the side of minibus taxis and Adam is the only taxi poet to have started at the bottom and worked up. From driver to sliding-door man, to taxi poet, and finally instructor at the Institute of Taxi Poetry, Solly appears as his guide and support at every step, despite his own personal reluctance to see the lyric entangled with the whims of academia and bureaucracy. And his death at the hands of an unknown assailant leaves Adam lost. As his week unfolds Adam is faced with increasingly problematic issues that are marked out throughout the narrative. He feels a sense of duty to a bedraggled cat; is reunited with his former employer; challenged by difficulties at work; tasked to oversee the visit of (in)famous yet ailing taxi poet Geromian who took a path so very different to Solly; and is unable to understand his teenage son. As the story unfolds each problem becomes more of a happening, more complex and entwined. Soon realising he is being taken down a route he can no longer predict, with stops that show he has missed something, Adam is forced to reconsider all the relationships that have defined his life and his vocation. Who is he? Who is his son? Most importantly: who was Solly and what, really, is taxi poetry? Tapping into issues that lie at the heart of contemporary South African life, Coovadia constructs a narrative that reminds readers to look again at their life and themselves. Appearances are not always the reality and this is a novel that misleads with its humour, easy familiarity and fluid language. In reality the characters are portrayed with a bulky physicality, the relationships between them are being wrenched in multiple directions, and the questions the reader is forced to ponder are anything but comic. But Coovadia’s skill is precisely in this tangling of reality and appearance. At once this is an easy read yet challenging – but a challenge that pays off. The freshness of the word, the wit of the narration, and the intimate depiction of Cape Town in all its ugly beauty makes you want to read this novel and undertake a journey that, like any journey in a mini-bus taxi, has its surprises. Most people who read this novel will know of South African literature that is more controversial and spectacular; they will know that love is a difficult relationship to understand; they will know that appearance and reality are never as similar as they seem. Thus, in a way, The Institute of Taxi Poetry is about nothing. But, to give Solly the last word: “Taxi poetry makes nothing happen but that is the very same nothing which makes absolutely everything matter”. The Institute of Taxi Poetry is published by Umuzi. For more on the novel, see here. 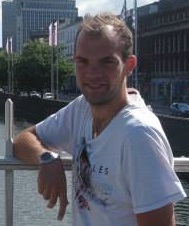 Tom Penfold has just completed his PhD at the University of Birmingham. He specialises in South African literature and examining its relationship with politics. If asked to talk in more detail than that he usually ends up talking about milk (metaphorically). To get round all sorts of taxi-related issues and things, they got creative and used big ol’ fridge-style magnets for the poems! That I love.